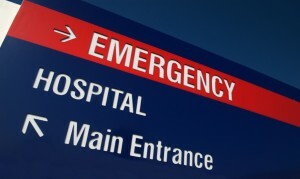 When a serious accident occurs, those injured by it often need serious trauma care and they need it fast. Rescue workers are trained to determine what a seriously injured person needs to stay alive until they can be transported to an emergency room or trauma center for treatment. However, many patients arrive at trauma centers suffering from hypothermia, or abnormally low body temperature – a condition that can cause its own harm and make other injuries more difficult to treat. Trauma patients are at a higher risk of hypothermia than other patients for several reasons. One, when a serious brain injury or spinal cord injury occurs, the body loses its ability to regulate its own inner temperature, making it more susceptible to cooler temperatures – even if they’re not properly cold. Also, infusion of saline and other fluids can lower body temperature, because they are often at a room temperature of about 70 degrees, versus the body’s normal temperature of approximately 98 degrees. Very young and very old patients also lack the ability to regulate body temperature the same way a healthy adult does, causing body heat to dissipate more quickly. Finally, open wounds lose body heat much more quickly than normal skin surfaces, so patients with open wounds, including serious burns, lose body heat more quickly. At The Law Offices of Wayne Grant, P.C., our knowledgeable personal injury lawyers in Atlanta are dedicated to helping injured people seek the compensation they need so that they can focus on getting well and returning to their jobs, schooling, hobbies, and families. For a free and confidential consultation, call us today at (404) 995-3955.